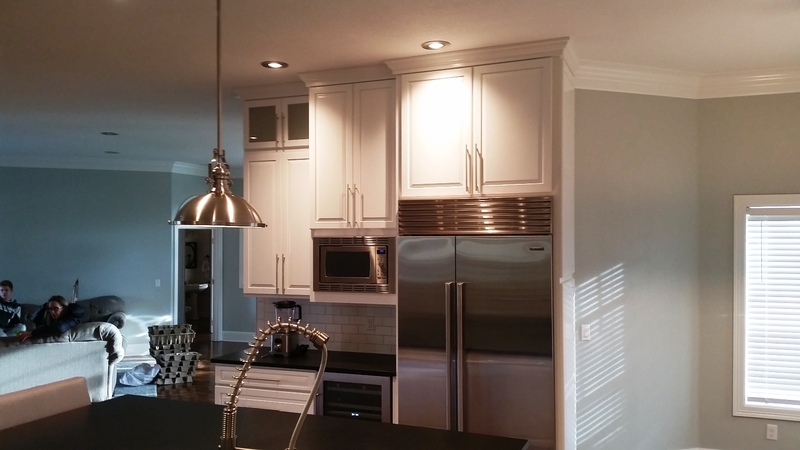 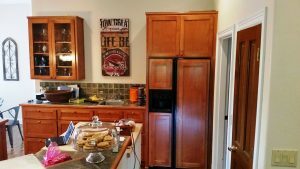 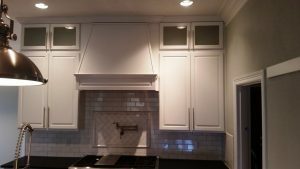 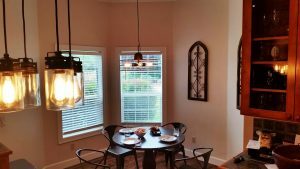 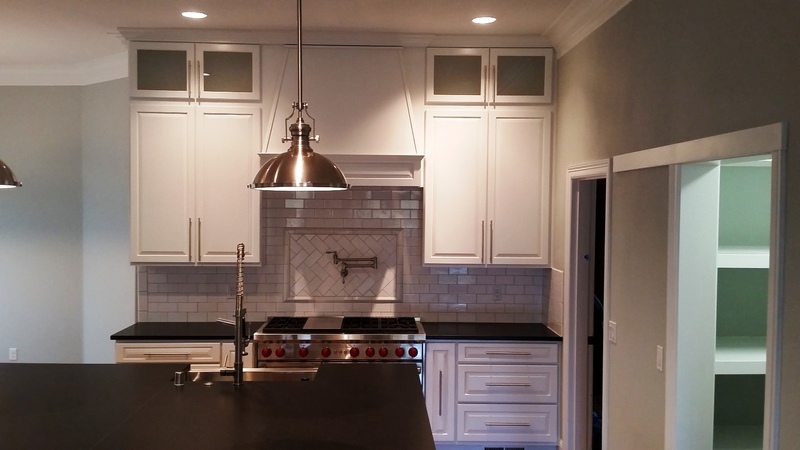 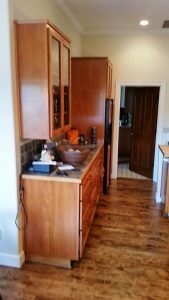 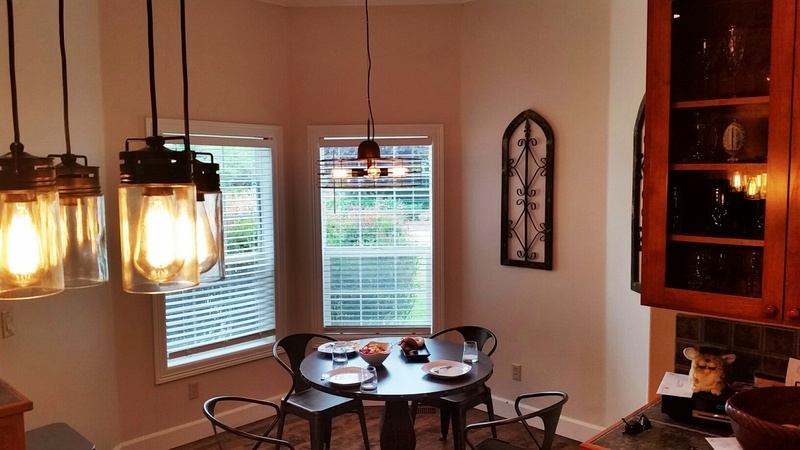 The Cabinets are Canyon Creek Brand- Shalimar Style-Maple Wood- White Painted. 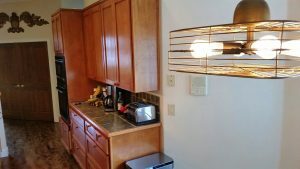 We put Matching Plant on doors on all of the ends of the cabinets! 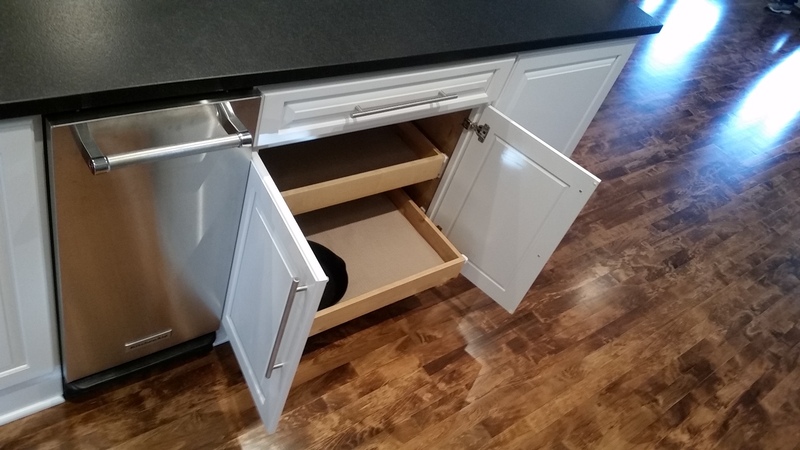 The drawer fronts are Matching too! 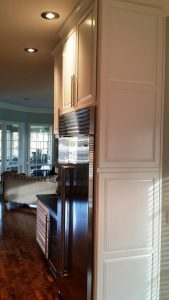 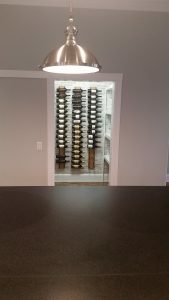 We took the cabinets all of the way to the 10 foot ceilings with stacked wall cabinets, with glass door in the uppers. The Hood over the range is a Custom Made Hood! 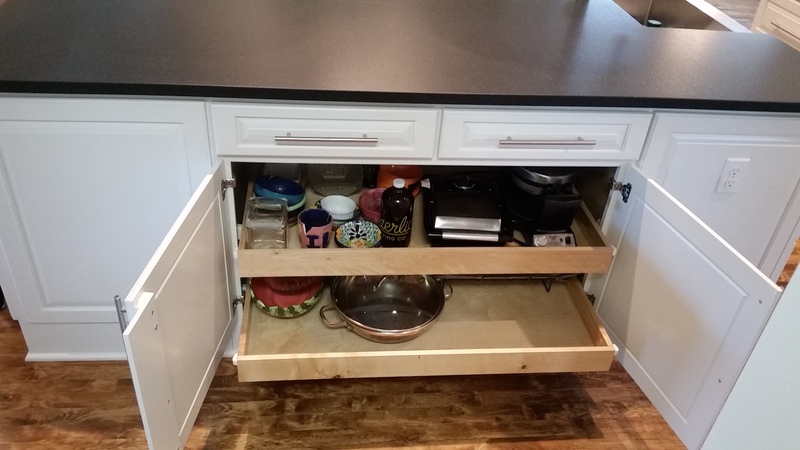 We sent the drawings to the cabinet company and they built it! 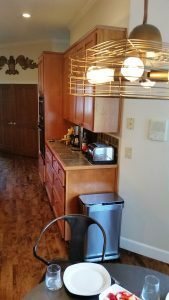 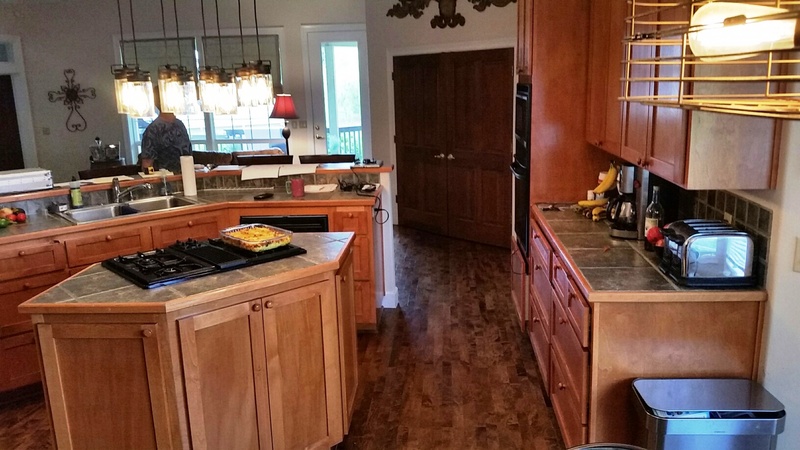 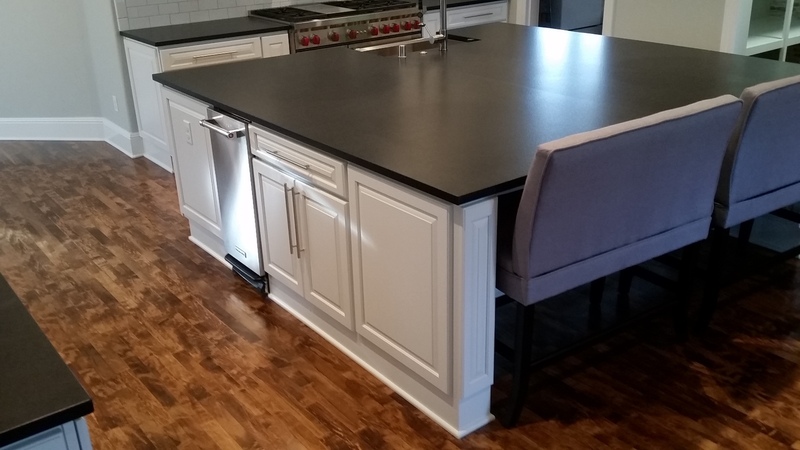 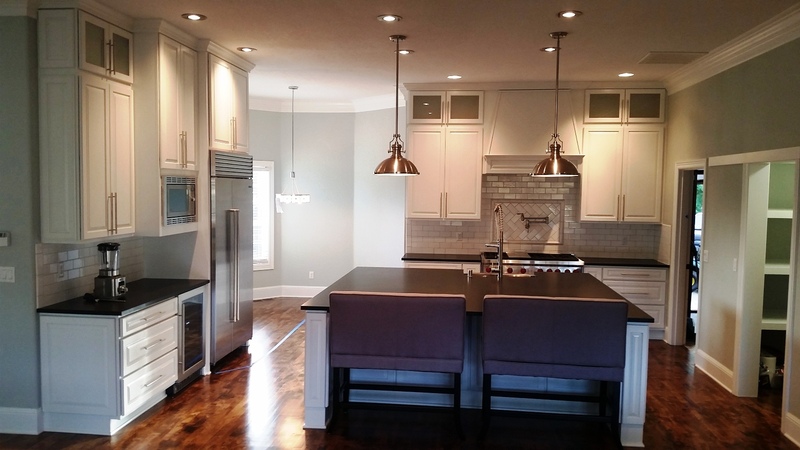 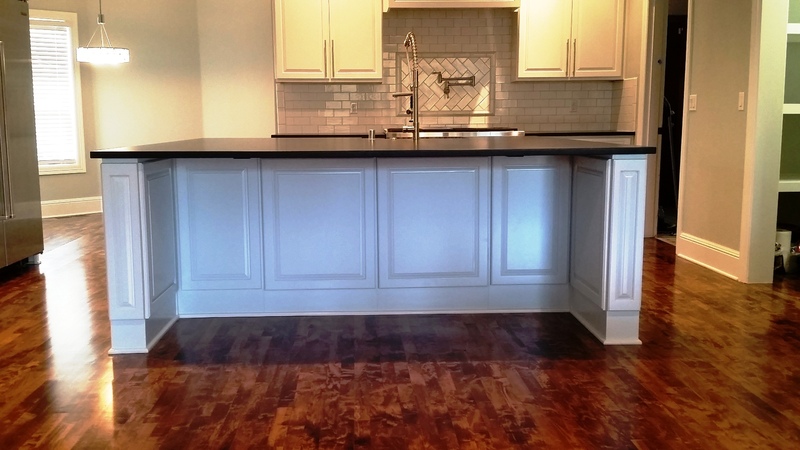 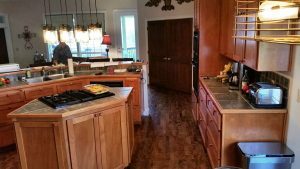 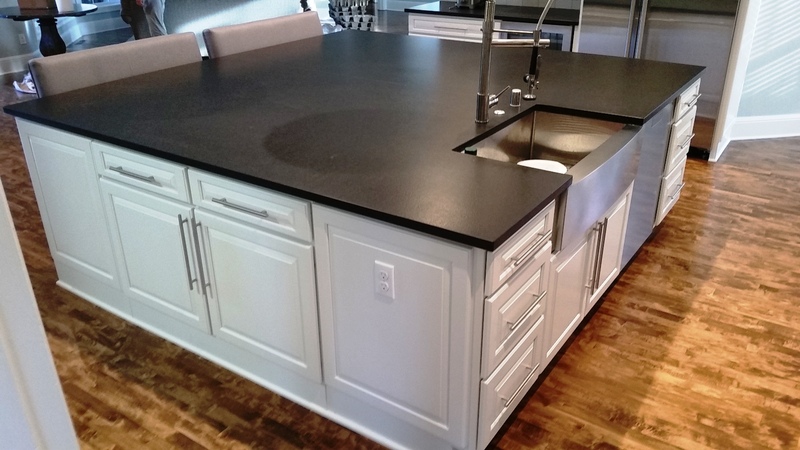 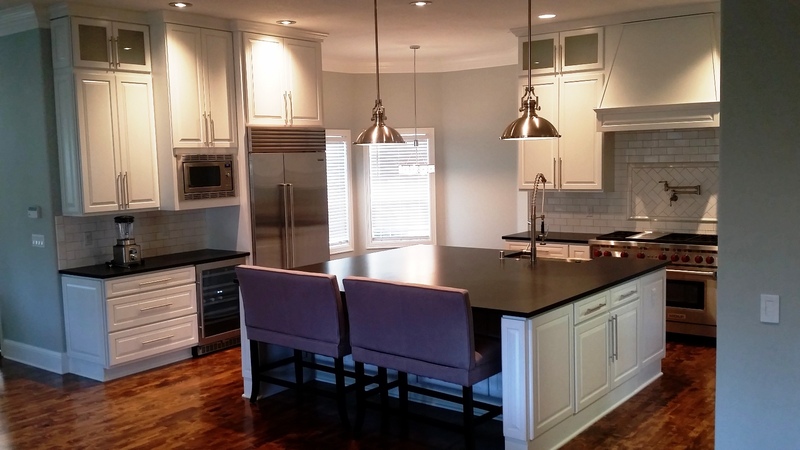 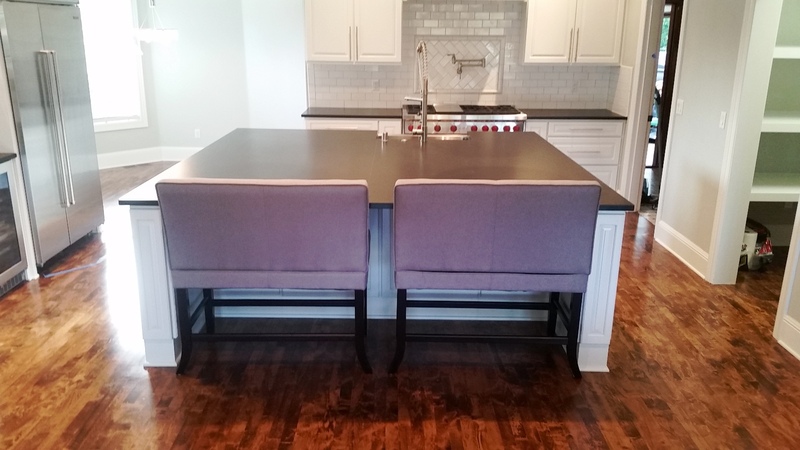 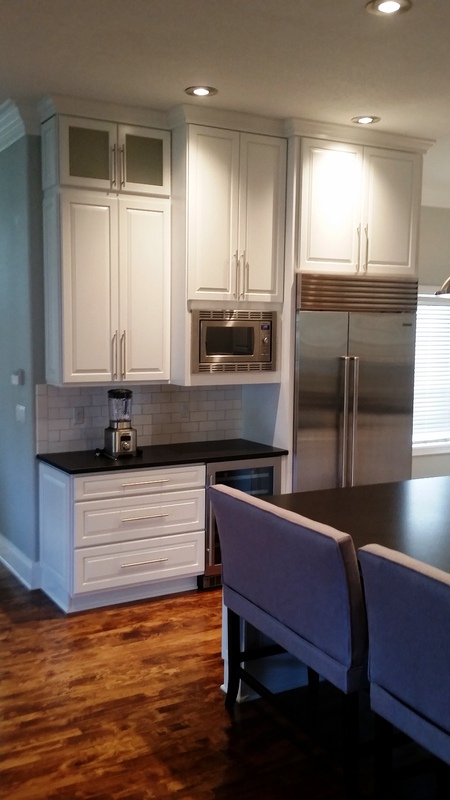 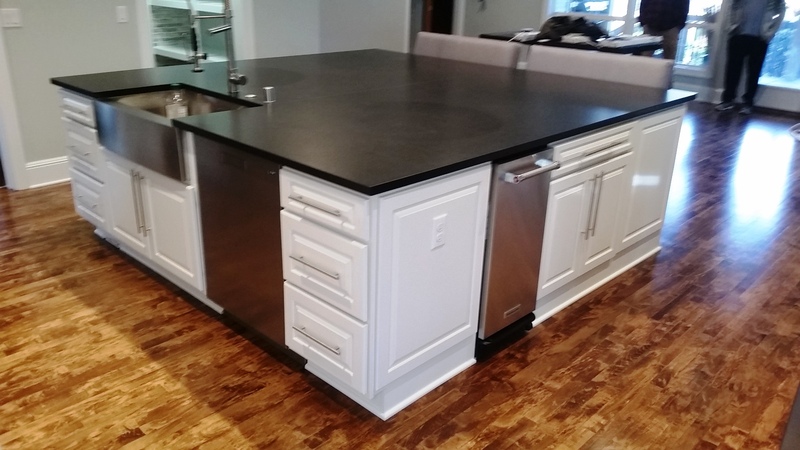 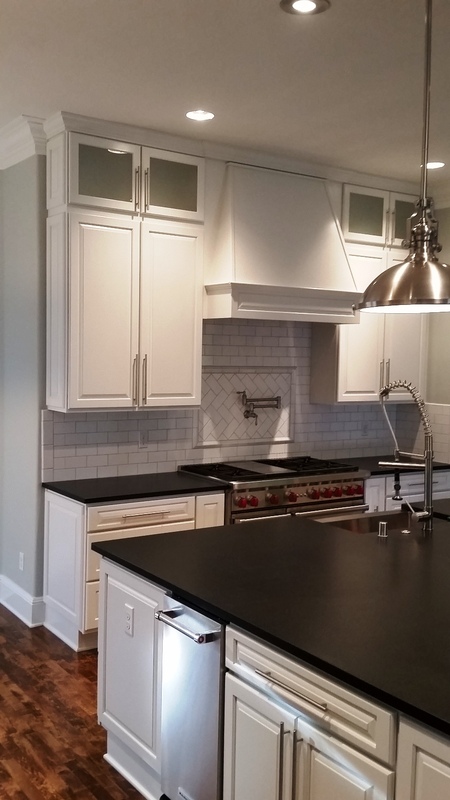 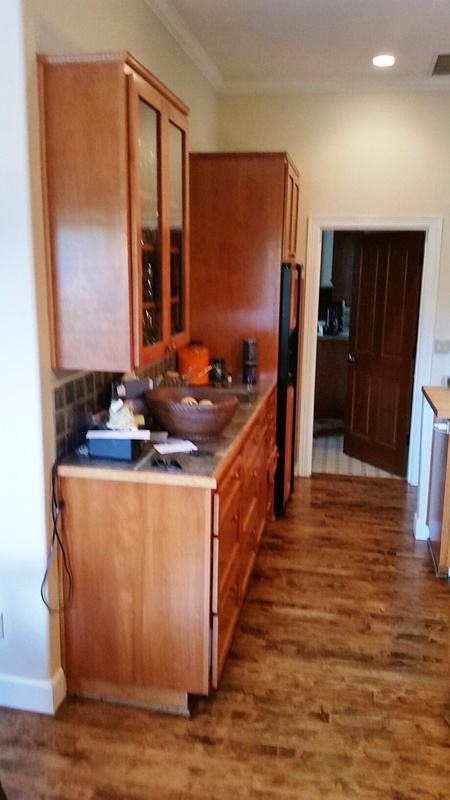 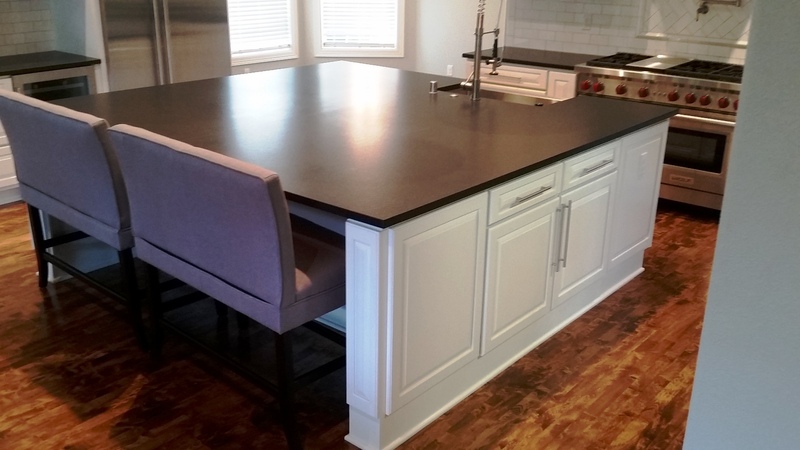 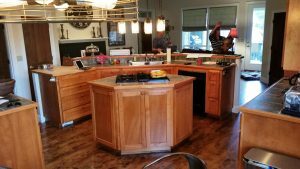 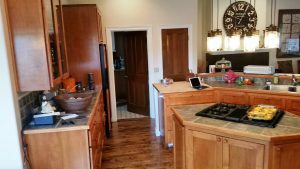 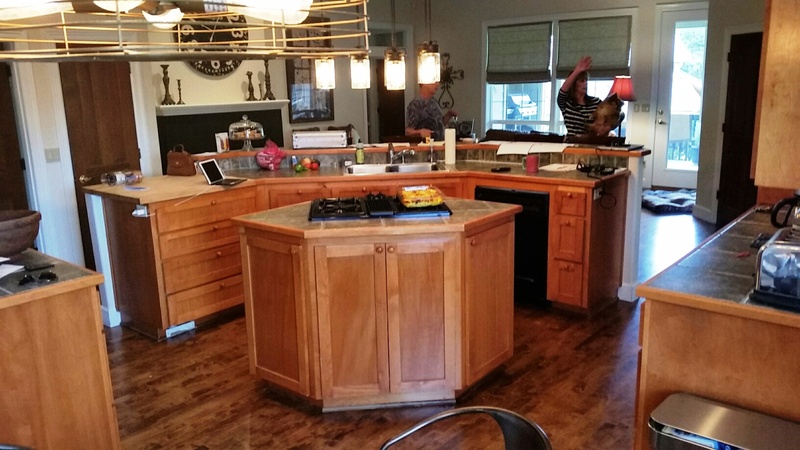 Notice the huge island with a Stainless Farmhouse sink, It is 8′ x 8 ½’ ! We have a overhang in the back for seating and cabinets under the overhang for storage! 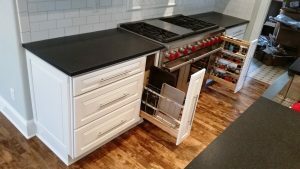 We put cookie sheet pull out and a spice pull out on each side of the range. We used roll outs in the base cabinets for ease of storage! 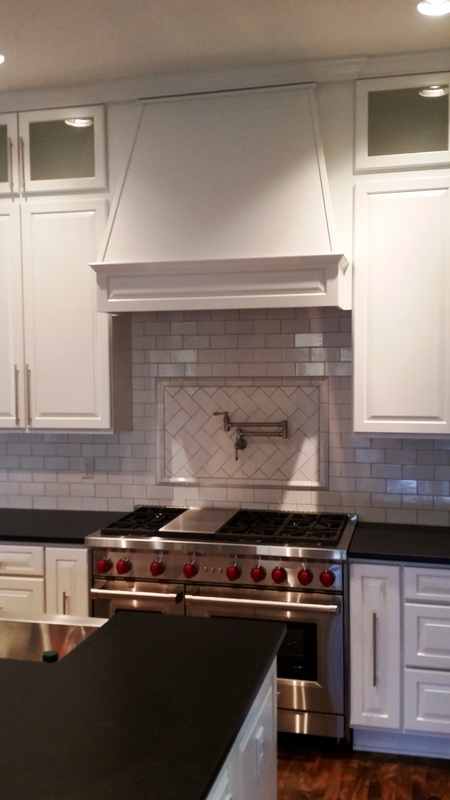 We added a pot filler above the 48” gas range! 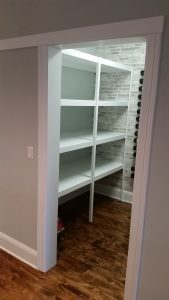 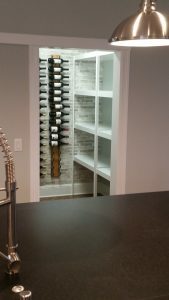 We added a bunch of shelves and wine storage! 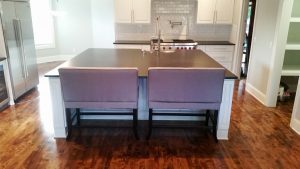 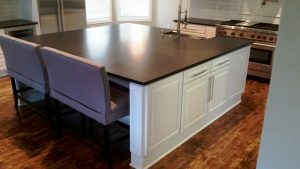 The counter top is Absolute Black Granite Antiqued. The tile back splash compliments the counter top very well!